Spain: Day 55 of 985 of the Spanish Civil War. Spain: Day 420 of 985 of the Spanish Civil War. CBI - China: Day 65 of 2,987 of the 2nd Sino-Japanese War. Day 28 of 106 of the 2nd Battle of Shanghai. Day 9 of 70 of the Battle of Taiyuan. 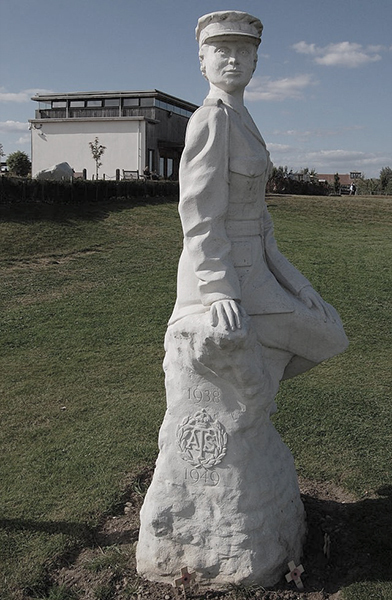 UK: The Auxiliary Territorial Service (ATS) is formed as a voluntary women's branch of the British Army. The Auxiliary Territorial Service (often pronounced as an acronym ATS) was the women's branch of the British Army during WWII. It was formed on 09 Sep 38, initially as a women's voluntary service, and existed until 01 Feb 49, when it was merged into the Women's Royal Army Corps. The first recruits to the ATS were employed as cooks, clerks and storekeepers. 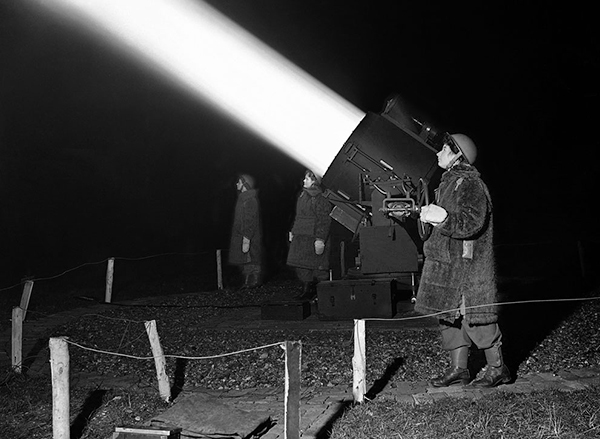 Duties were eventually expanded to include orderlies, drivers, postal workers, ammunition inspectors and searchlight operators. 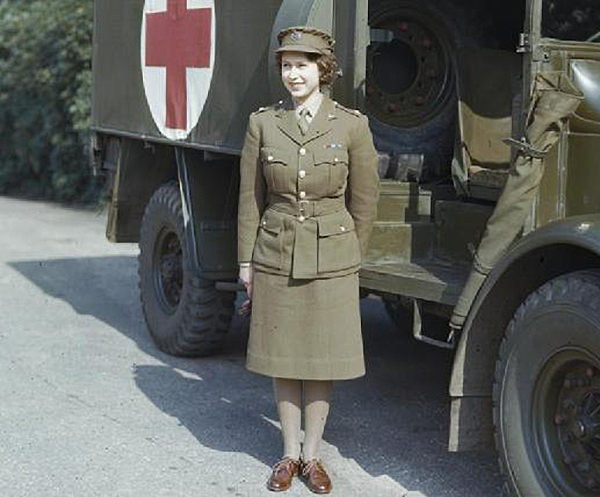 All women in the army joined the ATS except for nurses, who joined Queen Alexandra's Imperial Military Nursing Service (QAIMS), and medical and dental officers, who were commissioned directly into the Army and held army ranks, and those remaining in the First Aid Nursing Yeomanry (FANY), known as Free FANYs. 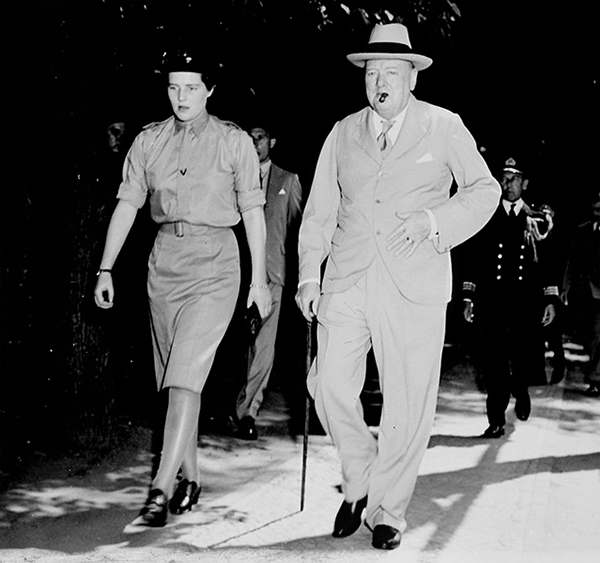 Famous members of the ATS included Mary Churchill, youngest daughter of Winston Churchill, and Princess (later Queen) Elizabeth, eldest daughter of the King, who trained as a truck (lorry) driver. In December 1941, Parliament passed the National Service Act, which called up unmarried women between 20 and 30 years old to join one of the auxiliary services. These were the ATS, the Women's Royal Naval Service (WRNS), the Women's Auxiliary Air Force (WAAF) and the Women's Transport Service. By 1943, about 9 out of 10 British women were taking an active part in the war effort. Spain: Day 785 of 985 of the Spanish Civil War. CBI - China: Day 430 of 2,987 of the 2nd Sino-Japanese War. Day 91 of 139 of the Battle of Wuhan. ETO: Advance elements of the British Expeditionary Force begin to arrive in France, deploying along the Belgian-French border and along the Maginot Line. 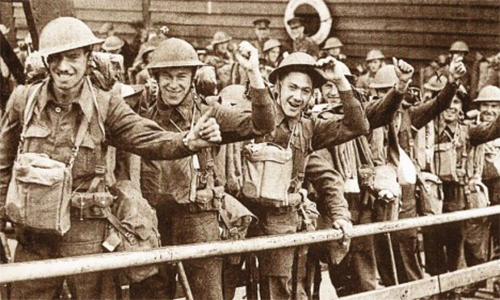 The British Expeditionary Force was started after the German annexation of Austria in March of 1938 when the possibility of war began to feel likely. The BEF did not commence hostilities until the invasion of France on 10 May 1940. After the commencement of battle, they were driven back through Belgium and north-western France, forcing their eventual evacuation from several ports along the French northern coastline in Operations Dynamo, Ariel and Cycle. The most notable evacuation was from the Dunkirk region and from this the phrase "Dunkirk Spirit" was coined. Poland: Day 9 of 36 of Germany's Invasion of Poland. German 8th Army captures Lodz and Radom, as 1st and 4th Panzer Divisions reach Warsaw. CBI - China: Day 795 of 2,987 of the 2nd Sino-Japanese War. CBI - Mongolia: Day 122 of 129 of the Battle of Khalkhin Gol. ETO - UK: Day 4 of 258 of the Blitz. Fires near St Paul's and the Guildhall; heavy casualties in bombed East End school housing homeless Blitz victims. ETO - UK: Day 62 of 114 of the Battle of Britain. German guns shoot across the Channel hitting inside Dover, England. Middle East: Italian Air Force bombs Tel Avis, Palestine, killing 111 people. East Africa: Day 92 of 537 of Italy's East African campaign in the lands south of Egypt. CBI - China: Day 1,161 of 2,987 of the 2nd Sino-Japanese War. Day 300 of 381 of the Battle of South Guangxi. Day 21 of 42 of the Hundred Regiments Offensive. Russian Front - Finland: Day 80 of 164 of the Battle of Hanko. The Soviets will be forced off their leased naval base. Russian Front - Finland: Day 6 of 28 of Finland's reconquest of East Karelia in southern Finland. The Soviets continue withdrawing from the Karelian Isthmus back to Leningrad. Russian Front - Finland: Day 73 of 142 of Operation SILVER FOX, a joint German-Finnish campaign to capture the Russian port of Murmansk in the Arctic. The German troops begin withdrawing back into northern Finland. Russian Front - Finland: Day 71 of 140 of Operation ARCTIC FOX, a joint German-Finnish campaign against Soviet Northern Front defenses at Salla, Finland. Russian Front: Day 80 of 167 of Germany's Operation BARBAROSSA, the overall invasion of the USSR. Russian Front - North: Day 2 of 872 of the Siege of Leningrad. Leningrad is now completely surrounded after German troops had closed the land bridge at Schluesselburg. Russian Front - Center: Day 11 of 14 of the Battle of Roslavl-Novozybkov, Russia. Russian Front - South: Day 33 of 70 of the Siege of Odessa, Ukraine. Russian Front - South: Day 18 of 35 of the 1st Battle of Kiev, Ukraine. MTO - Libya: Day 153 of 256 of the Siege of Tobruk. Middle East: Day 16 of 24 of the Anglo-Soviet invasion of Iran. East Africa: Day 457 of 537 of Italy's East African campaign in the lands south of Egypt. CBI - China: Day 1,526 of 2,987 of the 2nd Sino-Japanese War. Day 4 of 33 of the 2nd Battle of Changsha. ETO: Open pit burning of bodies begins at Auschwitz in place of burial. The decision is made to dig up and burn those already buried, 107,000 corpses, to prevent fouling of ground water. 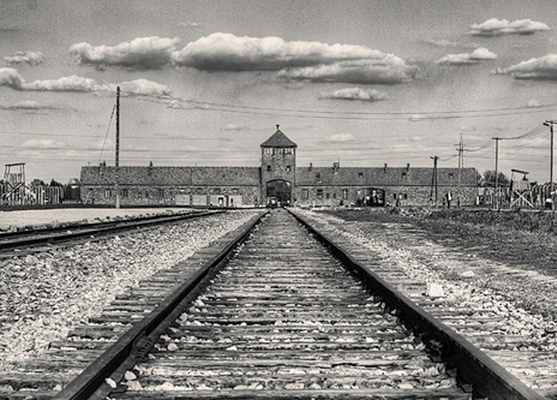 Auschwitz concentration camp was a network of concentration and extermination camps built and operated by the Third Reich in Polish areas annexed by Nazi Germany during World War II. It was the largest of the Nazi concentration camps, consisting of Auschwitz I (the Stammlager or base camp); Auschwitz II-Birkenau (the Vernichtungslager or extermination camp); Auschwitz III-Monowitz, also known as Buna-Monowitz (a labor camp); and 45 satellite camps. USA: A Japanese submarine-launched floatplane bombs Oregon forests with incendiaries for second time (the first was on 28 Aug 42). As wit the first, US newspapers voluntarily withhold this information. Russian Front - North: Day 367 of 872 of the Siege of Leningrad. Russian Front - North: Day 128 of 658 of the Siege of the Kholm Pocket, USSR lays siege to the Kholm Pocket but the Germans hold out for a about a year and a half. Russian Front - Center: Day 42 of 64 of the 1st Battle of Rzhev-Sychevka, Russia. Though it will end in a stalemate, it will keep German troops from going to Stalingrad. Russian Front - South: Day 74 of 150 of Germany's CASE BLUE, the failed offensive to take the Caucasus oil fields. Russian Front - South: Day 18 of 165 of the Battle of Stalingrad, the bloodiest battle in human history. MTO - Libya: US B-24s attack the harbor and shipping in Tobruk. East Africa: Day 128 of 186 of the Battle of Madagascar. CBI - China: Day 1,891 of 2,987 of the 2nd Sino-Japanese War. Day 118 of 124 of Japan's Zhejiang-Jiangxi Campaign, launched to punish anyone suspected of aiding the Doolittle raiders in China. Roughly 250,000 Chinese will be killed. PTO - Alaska: Day 95 of 435 of the Battle of Kiska, Aleutian Islands. The US and Canada will defeat the Japanese invaders. PTO - Malaya: Day 203 of 357 of the Battle of Timor Island, a long guerrilla war ending in Japanese victory. PTO - New Guinea: Day 51 of 119 of the Battle of the Kokoda Track. The Japanese continue driving over the Owen Stanley Range toward Port Moresby. This will become an Allied victory. PTO - Solomon Islands: Day 34 of 187 of the Battle of Guadalcanal. ETO: US 8th Air Force: B-17s and B-24s hit numerous targets in France. Russian Front - North: Day 732 of 872 of the Siege of Leningrad. Russian Front - North: Day 493 of 658 of the Siege of the Kholm Pocket, USSR lays siege to the Kholm Pocket but the Germans hold out for a about a year and a half. Russian Front - Center: Day 34 of 57 of the 2nd Battle of Smolensk, Russia. Becomes a Soviet victory as the Axis are pushed completely away from the Moscow region. Russian Front - Center: Day 24 of 48 of the Battle of Bryansk, Russia. German troops continue retreating. Russian Front - South: Day 17 of 122 of the Battle of the Lower Dnieper River, USSR. MTO - Italy: Operation SLAPSTICK begins as British troops land at Taranto. US 9th and 12th Air Forces provides air support. MTO - Italy: The Italian fleet leaves Spezia in northern Italy to surrender to the Royal Navy at Malta. All Italian forces within German-controlled areas of Italy, France, Yugoslavia, Albania and Greece are disarmed without opposition and made prisoners of war. Middle East: Iran, under pressure from the Allies who occupy the country, declares war on Germany. CBI - China: Day 2,256 of 2,987 of the 2nd Sino-Japanese War. PTO - New Guinea: Day 141 of 148 of the 2nd Battle of Lae-Salamaua. Will become an Allied victory. PTO - Solomon Islands: Day 26 of 56 of the Battle of Vella Lavella. The Allies will win this one. ETO - France: Day 40 of 284 of the Battle of Brittany. ETO - France: Day 26 of 32 of Operation DRAGOON, the Allied invasion of southern France. US and French troops continue racing up the Rhone Valley. ETO - Belgium: Day 8 of 62 of the liberation of Belgium. ETO: US 8th Air Force: Germany: B-17s bomb at Mannheim while B-24s hit at Mainz, Worms and Koblenz. Russian Front - South: After a Communist coup, Bulgarians sign an armistice with USSR. MTO - France: US 12th Air Force: Fighters and bombers continue supporting US 7th Army's drive up the Rhone River Valley in eastern France. They achieved great results in the Belfort Gap. MTO - Italy: After being hit by RAF bombs and rockets the day before, the Italian pre-war luxury liner Rex capsizes and sinks off Trieste, where it had been mothballed for much of the war. MTO - Italy: US 12th Air Force: Po Valley bridges are knocked out with B-26s and German troops are bombed south of Bologna by B-25s. CBI - Burma: Day 162 of 302 of the Chinese Salween Offensive in Burma. CBI - China: Day 2,622 of 2,987 of the 2nd Sino-Japanese War. Day 146 of 259 of Japan's Operation ICHI-GO. PTO - New Guinea: Day 270 of 597 of the Battle of New Britain. PTO - New Guinea: Day 141 of 481 of the Battle of Western New Guinea. CBI - China: Day 2,987 of 2,987 of the 2nd Sino-Japanese War. This war, also known as the Double Seven War began 8 years, 2 months and 2 days ago, though minor fighting had been going on as early as 18 Sep 31. All Japanese forces in China surrender, bringing the Second Sino-Japanese War to an end. All Japanese forces in Korea surrender. A Bristol woman's story of her time spent in Britain's Auxiliary Territorial Service.